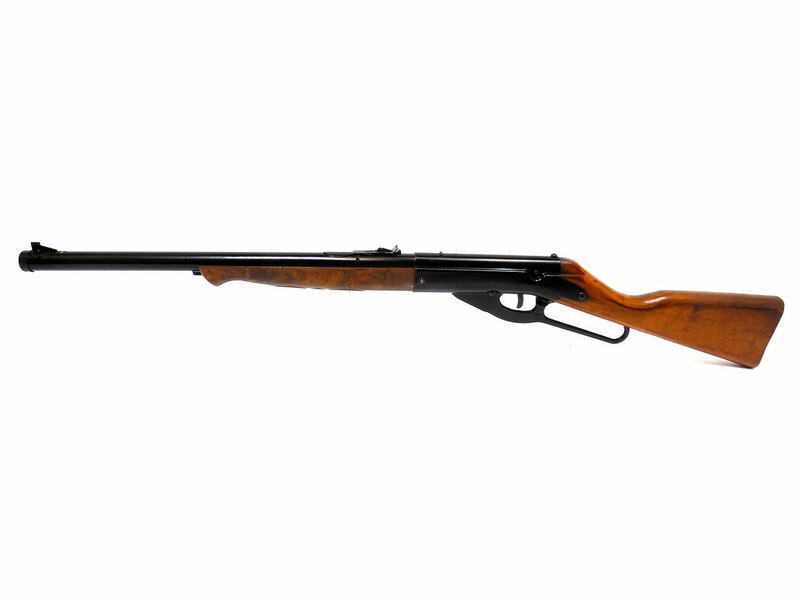 This Daisy Model 95 is of the earlier variant with the plastic forearm manufactured between 1962 and 1976. 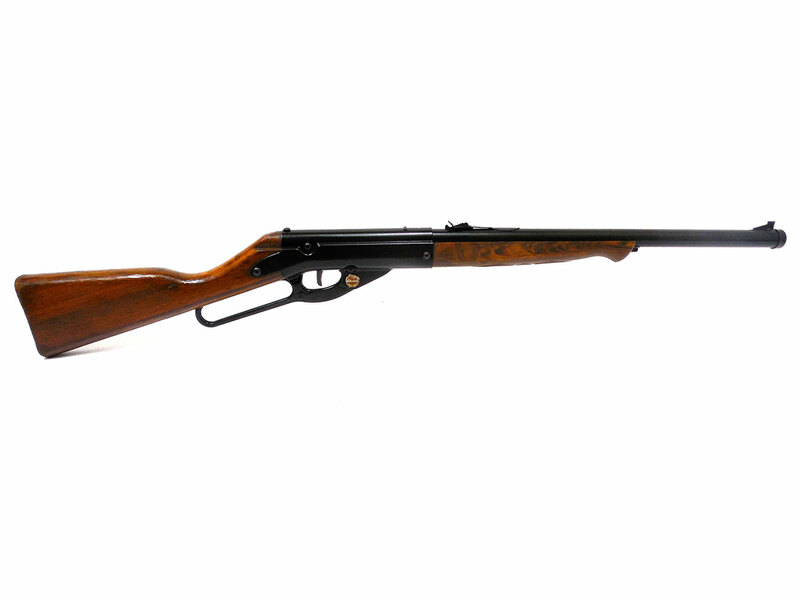 It is a BB caliber, lever action repeater with a 700 shot gravity magazine. 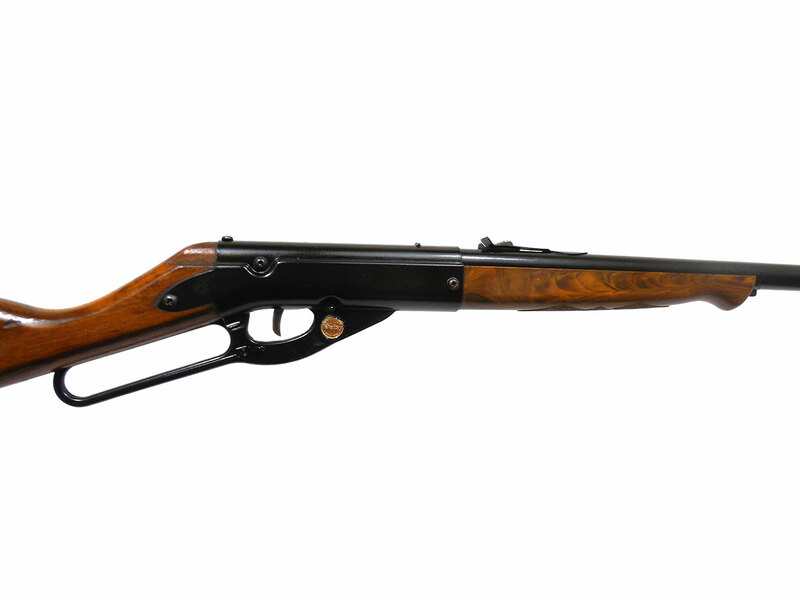 It features a painted finish, hardwood stock and plastic forearm. 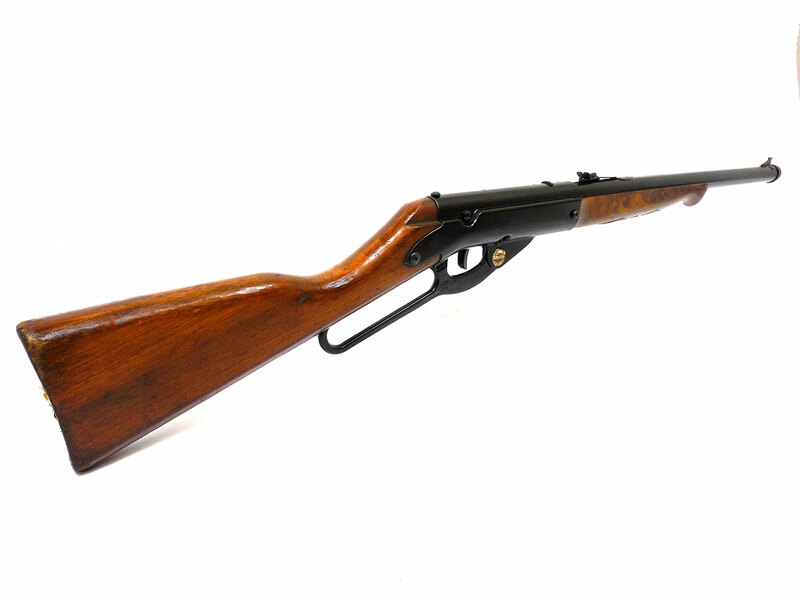 The wood stock on this one has some general wear mainly around the end of the stock. The metal has been repainted. Looks good. It was recently cleaned, lubed, and resealed in our shop. Velocity was tested at around 255 fps.